Learn Effective Solutions To Fix SDHC Card Undetectable/Unrecognized Error Without Data Loss! How many of you have experienced the following issue with your SDHC card? You clicked images from your smartphone and saved it on your phone external SDHC card. But later when you try to connect it with your computer, you get error message “SDHC card not recognized” or similar error such as “SDHC card not detected”, “SDHC card detected but not accessible” and so on. After receiving the error messages, you disconnected the card from the computer and re-insert it back to your phone and then you get shocked by seeing the error message “card not found”. Now at this moment what you should do to get back data from the card? Well, you do not need to get worried about it anymore. In this blog post I have provided few effective solutions that definitely going to help you to fix “SDHC card not recognized/detected” error as well as you can retrieve all digital media files from it with ease. Let’s start with real user example! Okay, I’m not sure if this is where it goes, and if not, I apologize. I have a Gateway NV54 laptop running Windows 7 64bit premium. It has a multi-card reader on the side, and for over 2 years now I been using it to transfer pictures from the SD Card I use in my camera to my computer because I don’t have the data cable that most cameras come with. It (the memory card) was working perfectly until wednesday. That was the last day I used it. It still works in my camera (i just took a pic a few mins ago), but my laptop is not reading it or even detecting it at all anymore. I tried rebooting my computer, taking it out and putting it back in the slot a few times, and nothing. This past wednesday, I did use a sd card from my brother’s computer to transfer pics, but I’ve used other cards, including micro sd cards and never had an issue. My device manager shows the built in reader is working, so I can’t figure out what the problem is to even try to fix it. Can anyone help? SDHC memory card is a small and portable data storage device just like SD card. It is used in various gadgets such as mobile phones, tablets, digital cameras, camcorders, mp3/video player, etc to save and store files such as photos, videos, music, etc. But when you get error like ‘SDHC card not recognized/detected’, ‘SDHC card is unreadable’, ‘SDHC card is not working properly” due to which you are not able to access data saved within the card then it normally becomes impossible to restore data from inaccessible SDHC card. How do you recover data from SDHC memory card when it is not detected? How to repair undetected Micro SDHC card to work on computer? Just Relax! As I have mentioned that there are solutions to get back inaccessible data from unrecognized/unreadable or undetectable SDHC card. So, let us first know the best and most perfect way to extract data from unrecognized SDHC memory card and then we will learn the effective solutions to fix the error “SDHC card not recognized” so that you can re-use it without any issue. 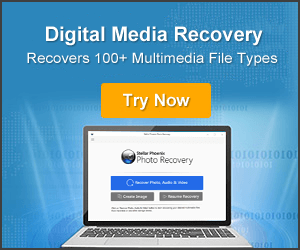 You can try Photo Recovery which is perfect SDHC Card Data Recovery software that will help you to recover inaccessible digital media files such as photos, videos and audio files from SDHC memory card that is no longer detected or recognized by computer or any other device. It also retrieve data from corrupted, virus infected, locked, damaged or formatted SDHC memory card. 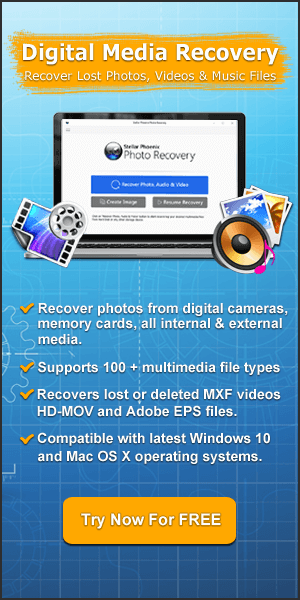 This data recovery for SDHC card is available for both Windows and Mac computer. 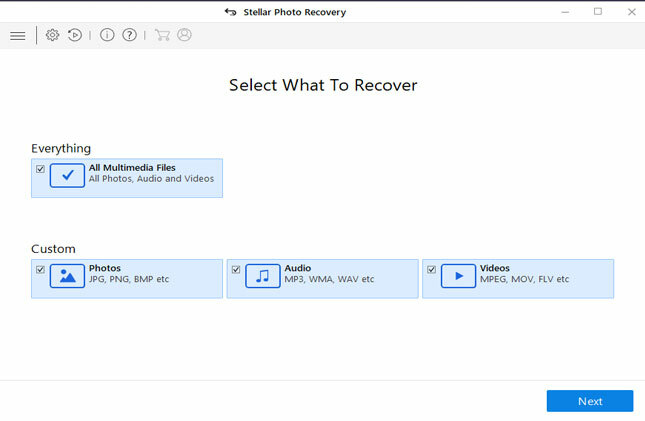 This tool will allow you to scan your memory card and preview the recoverable media files for free. Beside SDHC card, the software also recovers deleted, lost or inaccessible digital media files from SD card, miniSD, microSD, miniSDHC, microSDHC, SDXC, MMC, CF, SmartMedia and all other memory cards manufactured by various brands such as SanDisk, Lexar, Transcend, Samsung, Toshiba, Kingston, Strontium, HP, etc. Below, just follow the steps to get back photos, videos and audio files from unrecognized, undetectable or not working SDHC card. 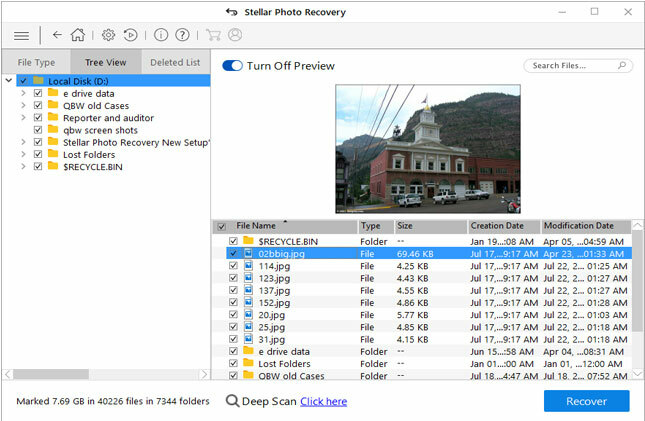 Additional Reading: How to Recover Deleted Photos from SDHC Card on Windows/Mac? How to Fix Unreadable Micro SD Card In Simple Steps! Once, you successfully recover and save you valuable photos, videos and audio files from the card, you can then proceed further to fix error message “SDHC card not recognized/detected” so that you can re-use your memory card again without any problems and error. Let me tell you that there are different solutions to repair the problem in different situations. You can follow the given solutions as mentioned below. There are users asking – card reader not working windows 10/8/7? How to fix this issue? Your SDHC card may not get recognized if there is problem with card reader, USB cable or computer USB port that you are using to connect your SDHC card. So, in this situation you must first check that your card reader, USB cable or computer’s USB port are working properly. If not then replace the card reader, USB cable and then try to connect your SDHC card from another USB port of the computer. You can try to connect you card to another computer just for checking. Some people also ask – how can I format my SDHC/micro SD card to fix card not readable, undetectable or not working issues? So, this solution is for those users whose SDHC card is detected and showing up in “My Computer/This PC” but it is not accessible, or your camera/phone is showing card but is inaccessible. In such situation, you can directly format SDHC card in Windows computer or format it within the camera/phone itself as you wish. Note: Format the card into proper file system (it is usually FAT32) that is compatible to most of the devices and computer. 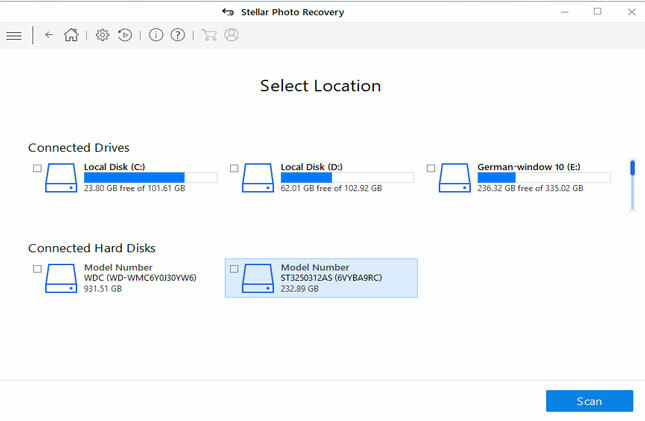 Additional Reading: Skill for Error SDHC Card Data Recovery on Windows/Mac! There are people also asking – How do you fix a corrupted/damaged SDHC card? When your SDHC card is corrupted or damaged, then you should run CHKDSK command to fix the issue. 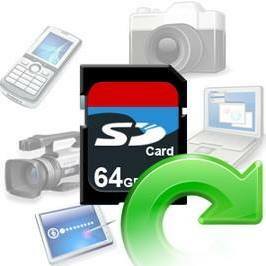 This will help you to fix corrupt memory card file system and make the card accessible. And during the repair process, all your data will remain as it is. Insert not recognized SDHC card into card reader and connect it to computer. On your PC, click START, type in “CMD” in search bar and hit ENTER. A new command prompt window will get open. Now type the following command: “chkdsk /X /f G:” or “chkdsk G: /f” and hit ENTER. Here you need to replace G: with your SDHC card letter name. Now, you have to just wait, as Windows will check and fix the corrupted SDHC card. Once, the process gets successfully completed, go to ‘My Computer/This PC’ and you can access your memory card data with ease. Additional Reading: How To Recover Media Files From Memory Card Using CMD? If your Windows computer does not meet the requirement to read your SDHC card (e.g. due to lower version), then your SDHC card get detected by Windows OS. In this case, you have to update Windows for driver update and thereafter your SDHC card work again on your Windows computer when operating system is compatible with it. So, how to update Windows drive update? 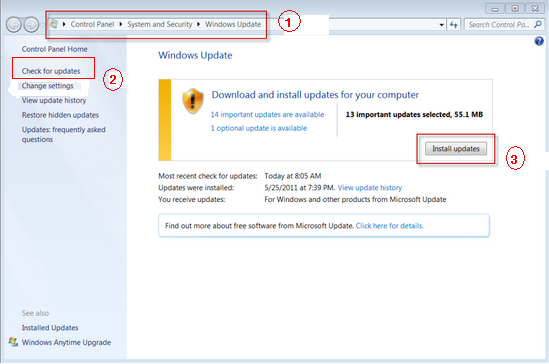 You can update driver from the official Microsoft website. Find the proper drive device for your computer and install it on your computer to make SDHC card recognizes normally. You can also check for updates on Windows. Below find out how to do this. Windows cannot recognize/detect SDHC card connected to your computer? 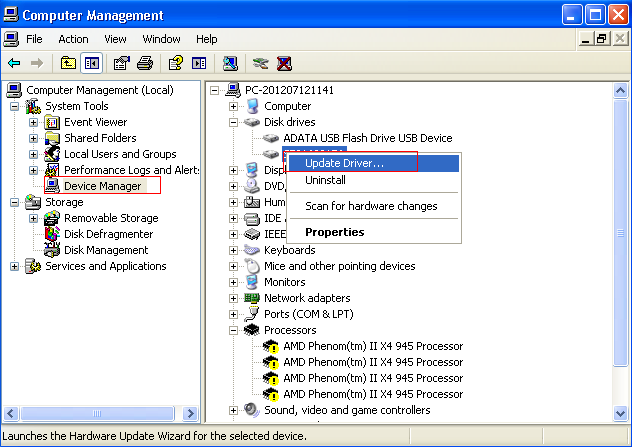 In this section we focus on how to update drives devices in different Windows operating system to get fixed SDHC card cannot recognize or detect issue. Next, click on “Check For Updates”. And then click on “Install Updates”. Note: Since Microsoft has stopped providing the updated for Window XP, hence you will not be able check for updates for Windows XP. Click “START”, and then “right-click My Computer/This PC” and then click on “Manage”. Now find the right disk drive and then right click on your SDHC card and select “Update Driver” and thereafter simply follow the onscreen wizard to complete the update. Once, completed successfully, you can go back to My Computer/This PC and you will see that your PC is able to recognize your SDHC card and you can access data stored within the memory card. Since, there could be various scenarios and unexpected errors that can make your SDHC card unrecognized, undetectable, unreadable by computer, camera, mobile devices, etc and hence, you must always be prepared to handle such situations. As of now I hope you have got several solutions to fix SDHC card not recognized error that is mentioned-above. 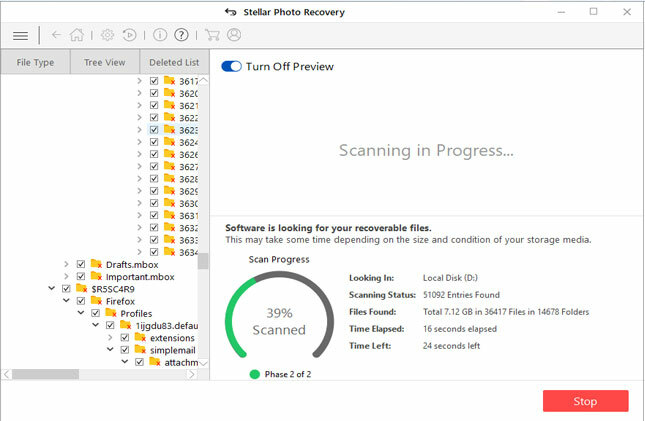 But before fixing the error, you must first use Photo Recovery software to recover all valuable photos, videos and audio files from the undetectable SDHC card, if in case you do not have backup. Learn To Fix “SDHC Card Not Recognized” Error. Recover Data From SDHC Card When It Is Not Recognized.Check Card Reader, USB Cable or Computer USB Port. Format SDHC Card. Fix SDHC Card Error Using Command Prompt.